There’s a website, Dog-Vision, developed by a Hungarian PhD candidate, which uses an image processing tool to show how dogs perceive objects. It’s pretty cool seeing differences in visual perception and you’ll never look at your pet the same way once you understand how they look at you. 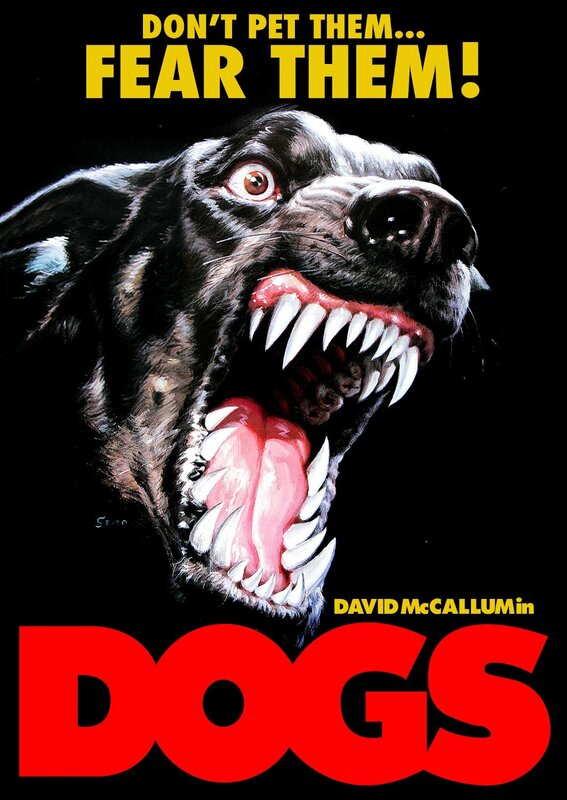 Bob Clark heralded in the era of horror POV via his groundbreaking Black Christmas, but in DOGS we get pet POV by way of introduction. Even though the film stars a bona fide actor, David McCallum (The Man From U.N.C.L.E. ), Dogs’ Wikipedia page is an exercise in extreme minimalism, currently devoting a whopping 21 words to this 1976 feature. (maybe the Wiki editor was thinking dog words are like dog years). McCallum plays a caustic upstart biology professor, Harlan Thompson, a young genius who’s got a gift of gab. Upon meeting a colleague, who by way of small talk says to him, “our research has followed along parallel lines,” he retorts, “so we’re not supposed to meet.” (However in non-Euclidean geometry, parallel points DO meet at infinity. C’mon Mr. Genius, step it up!). At this faculty drinks session, everyone laughs at a professor who shares a tale about being threatened by a German shepherd. Little do they know, foreshadowing and all. Woof woof. Professor Thompson not only doesn’t have a capable enough grasp of math, he’s not much of an ecologist. When he’s called to the scene of a mysterious cattle attack, he flippantly tosses a beer can out the window of a rancher’s truck. The coroner looks like serial killer Night Stalker Richard Ramirez, which is certainly odd. 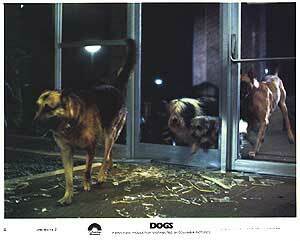 Good mindless escapism, especially if you have a fondness for animal attack films. This entry was posted in Horror and tagged 70s movies, natural horror by Really Awful Movies. Bookmark the permalink.